There are emotions that are not always easy to explain. Even harder is attempting to explain the intrinsic value of a tradizioneMa if we transform the tradition in notes, sounds, voices and colors, the excitement is more immediate. And 'diretta.L'album debut of Tavernanova draws freely from the wide Apulian folk tradition and coratina, homelands music octet birth, and gives us a glimpse of daily custom of almost disappeared Southern rural life. It 'like leafing through a black and white photo album pasted on cardboard too yellowed pages that smells of the past. And 'the family album in which they jealously guard their own roots, their own memories and so proudly performs in order once again, sitting around a crackling hearth, the illusion of reliving a past of simplicity and modesty since too lontano.E 'incensed smell of citrus in the air. And 'the memory of when you peeled the legs kicking a ball of rags on the street. 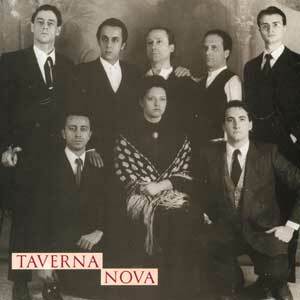 Tavernanova is an Italian band of copyright music and world music, formed in 1990 in Corato. Their onset is distinctly "ethnic" as for the lyrics, as characterized by the dialect and the search of popular traditions of southern Italy. Musically, the band instead is distinguished by the refined original compositions, which avoid the typical folk sonorities, resulting in a perfect fusion between the subjective feelings of the musicians (ranging from pop to jazz and classical music). 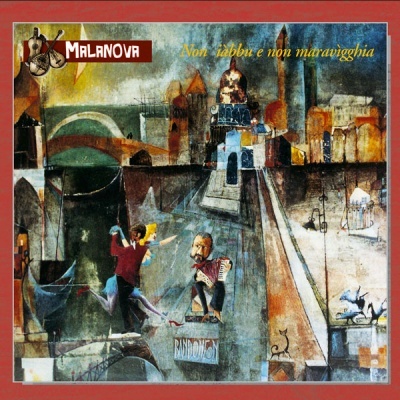 In this phase, the group recorded in Matera's first album entitled Taverna Nova that received remarkable critical acclaim, especially the music and arrangements. The meeting with the record company CNI (Compagnia New Indye) marks their artistic growth, culminating in the production of Matengue hard (CNI / BMG), which will bring the group to the attention of national and international public, thanks to a series concerts on prestigious stages. The years between 1995 and 1997 saw the publication of several collections nationally syndicated and large circulation. 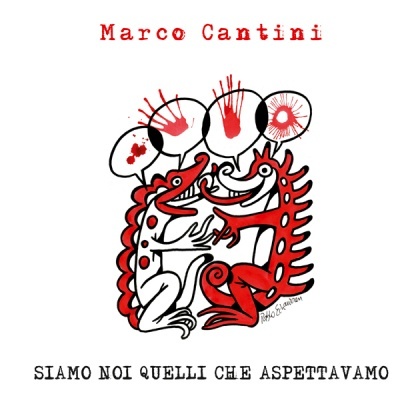 Among all stands the compilation Sudati Canti, edited by the newspaper Il Manifesto, which allows the diffusion of the music Tavernanova nationwide with the famous song "Sciette and Bum!". In 1997, critics of Radio DeeJay, MTV and Music! The candidates of the Republic Tavernanova to Italian Music Prize (PIM), which is ranked 2nd place in its category to the music of "frontier." In 2001, the French director Catherine Breillat presents his film at the Berlin Festival "A ma soeur" ( "To My Sister"), choosing the song of Tavernanova "Carnival Veins" as soundtrack of the film, as well as its ending theme. 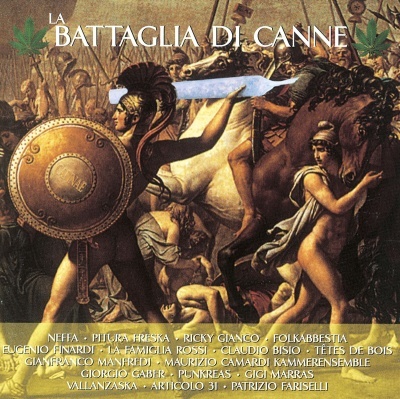 In the past were part of the group the singer Luigi Di Zanni, bassist Pierluigi Balducci, the author of the original texts Francesco Quatela, singer Rosita Ranaldo and drummer Mario Arbore. 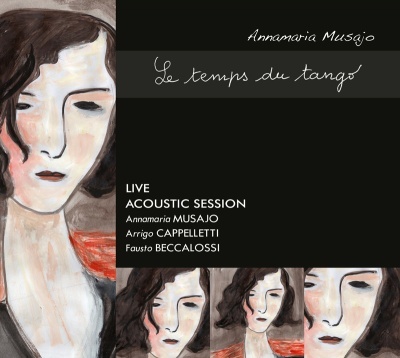 Other contributors were the singers Gabriella Schiavone, Patty Lomuscio and drummer Giuseppe Berlen. After a break, the group is back up again with the release of "The Easy Life" (Digression Music 2012), two videos made by director Alessandro Trapani, "The Easy Life" and "Me stove" (2012) and with live concerts, confirming their typical sounds and music with a single news that concerns the texts in Italian.